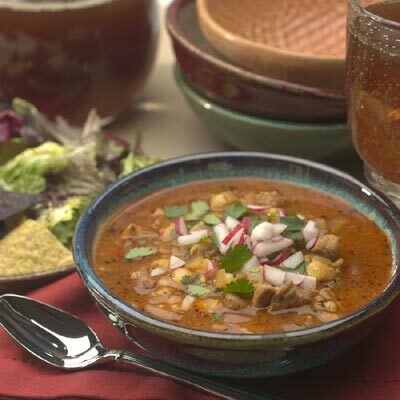 If you are in the mood for a great authentic Mexican dish, you might want to try Pozole. This stew is a favorite in restaurants and in Mexico. But you do not need to spend hours preparing it. There is a fast method that will bring great results. All you need are some simple ingredients and a crock-pot. In a small skillet brown the garlic and scallions in the vegetable oil no longer than five minutes. Set aside to cool down for another five minutes. Mix all of the ingredients into a large crock-pot and cover with water. Cook on the low setting for about six to eight hours or on the high setting for two to three hours until the vegetables have softened. Serve the Pozole immediately with rice or corn tortillas with your favorite toppings. Makes about 8 to 10 servings.